REINFORCED COPPER WOUND. 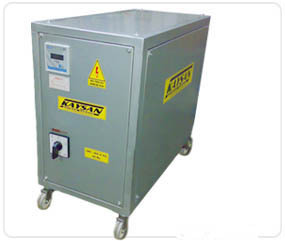 OUR POWER SUPPLIES ARE MADE FROM LOW-LOSS 10.000 GAUSS SILICA ALLOY TRANSFORMER SHEET METAL. 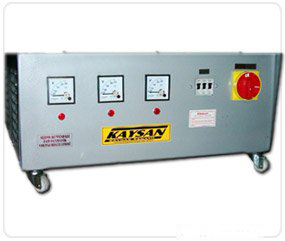 OUR POWER SUPPLIES ARE BUILD BY UTILISATION OF HIGH PERFORMANCE INSULATION MATERIAL AND CAREFUL LABOUR. 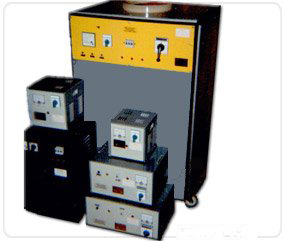 ALL THE MATERIALS USED IN OUR RECTIFIERS ARE COMPLIES RELEVANT REGULATIONS. 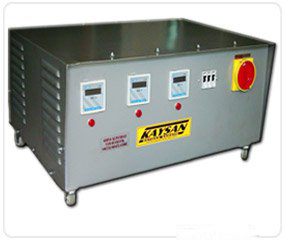 POWERS OF RECTIFIERS AND TRANSFORMERS ARE EXPRESSED AS KVA. THUS IN ORDER TO CONVERT THAT INTO KW, THE KW VALUE HAS TO BE MARKED UP BY APPROX. 20% (KW*120/100=KVA). AND POWERS AS THREE-PHASE AND MONO-PHASE.